Brussels, 20th December 2017: The mission of Boehringer Ingelheim’s (BI’s) Angels Initiative is to increase the number of patients who can be treated in stroke-ready hospitals and to optimise the quality of treatment in all existing stroke centres. The Stroke Alliance for Europe (SAFE) has partnered with BI to support this ambitious project and will add an important dimension by bringing the patient perspective. SAFE’s involvement will mean patient-focused information will be available to patients and their carers as soon as they arrive in all stroke units. -Information on the stroke care pathway is crucial for stroke survivors and their carers both while they are in hospital and in the following months, says Jon Barrick, the President of SAFE. With SAFE joining Angels Initiative we will be making information available to them in the hospitals. The patient-focused materials will include a list of national, regional and local stroke support organisations with their contact details in order that patients and carers can access further support in the months and years following their stroke. Earlier this year, Angels Initiative was endorsed by European Stroke Organisation (ESO), the largest European organisation of stroke professionals. -Our vision is for stroke patients to receive the same level of treatment wherever they live in Europe, thus preventing disability and death. To achieve this, we are working with the Angels Initiative in order to increase the number of stroke-ready hospitals and to optimize the quality of treatment in all existing stroke centres. It is our strong belief that the Angels Initiative is a great opportunity that will make a difference to patient outcomes because it is one of the pillars of the ESO Quality Improvement in Stroke Treatment in Europe. The Angels Initiative is also a great opportunity to continue our collaboration with our friends from SAFE to defeat stroke- said Valeria Caso, the President of ESO. As Jon Barrick stressed out, SAFE will be working closely with stroke professionals to develop a one-page questionnaire on patients’ experience of their care and treatment whilst in hospital and the quality of the communication in the patient and health professional interaction. 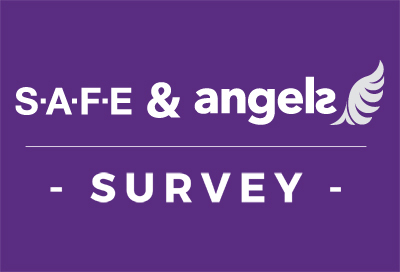 Based on feedback from this survey, SAFE plans to establish an annual SAFE Angels’ Award to reward best practice in communication with patients in stroke units. Thomas Fischer, Global Head of the Angels Initiative project, explained that the Angels Initiative was until now focused primarily on medical professionals and hospitals, improving processes and facilitating the organisation of acute stroke care. 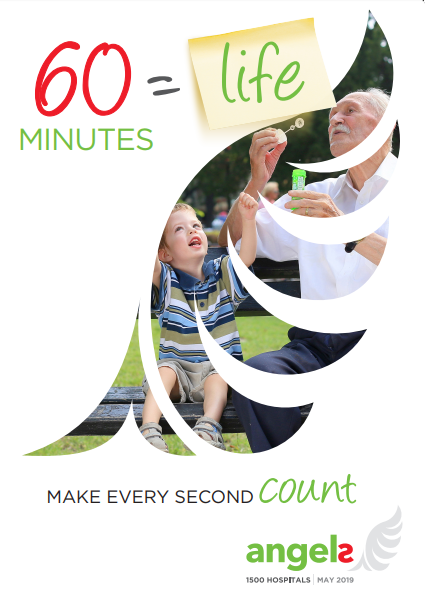 -The Initiative’s aim is to improve stroke outcomes, save lives and reduce long-term disability so often caused by stroke. We believe this can be achieved more effectively if patients and their carers are given critical information when they most need it – as soon after they arrive in the stroke unit as possible. This will enable them to be actively involved in their treatment, leading to better outcomes and informed communication between healthcare professionals and patients, commented Fischer. The project is planned for the first half of 2018, with patient information being made available in firstly in the 12 European countries where the Angels Initiative is already in place. The project’s final phase will be realised in close cooperation with SAFE’s members across Europe and European Stroke Organisation’s representatives who work in hospitals which are part of the Angels Initiative. 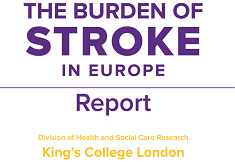 Earlier in the year SAFE published the Burden of Stroke Report which considers the many issues about stroke in each European country. As more people survive stroke, the burden of care and support is great and increasing. For more information about SSOFT and SAFE, please see here. 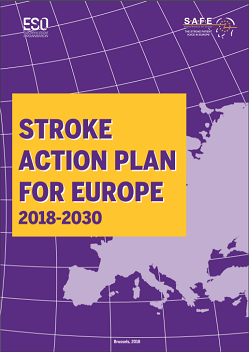 The European Stroke Organisation (ESO) is a pan-European society of stroke researchers and physicians, national and regional stroke societies and lay organisations that was founded in December 2007. The ESO is an NGO comprised of individual and organisational members. The aim of the ESO is to reduce burden of stroke by changing the way that stroke is viewed and treated. This can only be achieved by professional and public education, and by making institutional changes. Angels Initiative is building a global community of stroke centres and stroke ready hospitals, working every day to improve the quality of treatment for every stroke patient.